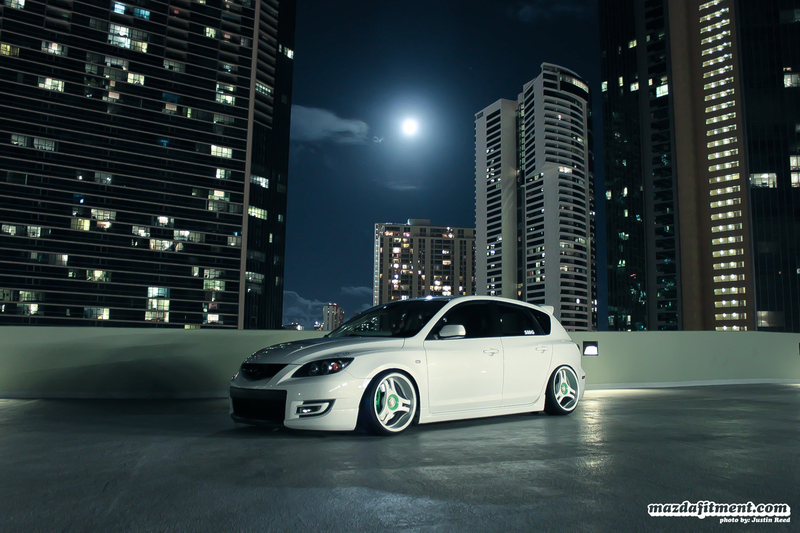 I am sure you recognize this Mazdaspeed 3 from Hawaii that we recently featured here, and if not go click on Brad’s feature: 808 Flavor. Here is a wallpaper sized image of Brad’s ride under the moonlight just chilling in Hawaii. Hope you guys enjoy this treat, provided by Justin Reed. Get it here: Wallpaper Sized!